Getting your name right is crucial: 50% of product launches fail to hit business targets, according to a McKinsey study. Yet, there are some things that can help improve your chances. In a discussion with the Harvard Business Review, Julie Schneider and Julie Hall found that companies fail because they postpone a lot of the critical marketing work necessary for launch. Part of that work includes coming up with a great name. With such a crucial decision, going with instinct is not enough. Enter product naming research. Much like it sounds, name research helps identify the best name for a company, product, or service. By screening and testing your names with consumers, you can have greater confidence that you’ve picked the ideal candidate. In fact, a study in the Journal of Consumer Psychology revealed that consumers who name products are more likely to purchase or consider them. The first step to conducting a product naming study is coming up with a list of great names. There are several naming tactics you can use to get started. Easy to Remember. Your product name shouldn’t be overly complex. You want your consumers to be able to easily recall what your product is. Memorable. Gaining mindshare is a major challenge. A memorable product name will help you break through the noise. Positive Associations. Positive associations are important. Early on, retail giant Amazon went by a different name, Cadabra. When Jeff Bezos’s lawyer pointed out that you could easily mis-hear “cadaver,” Bezos changed the name to Amazon. Easy to Pronounce. If a name is hard to pronounce, there’s a strong likelihood of consumers rejecting the product altogether and going with alternatives. Pronunciation can also have global impacts. For example, Lever Brothers rebranded cleaning brand Jif to Cif purely due to the fact that the ‘c’ is easier to pronounce in other languages. This move also simplified marketing and production efforts globally. Easy to Understand. 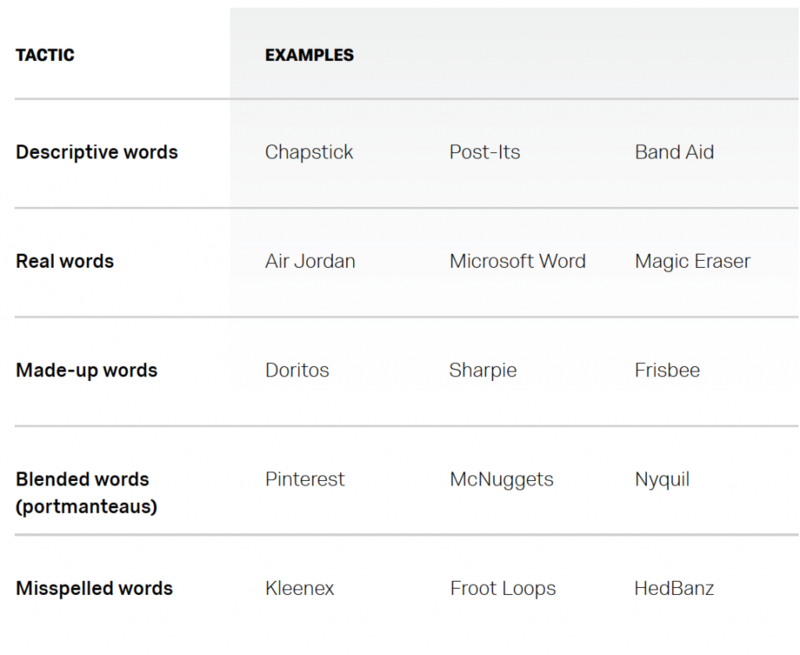 Product names that are easily understood are more likely to entice consumers to purchase. International Audiences. If you are an international company, you should think about how a name will resonate with different audiences. In the 1960’s Chevrolet didn’t consider that the name for one of its vehicles, the Nova, literally translated into “doesn’t go” in Spanish. The goal of a product name study is to give you an overall ranking of your product names as well as deeper insights on each individual name. By validating your names with formal research, you can launch your product name with confidence. A good naming study should give you insights about overall name preferences and which names score the strongest on a variety of criteria such as creativity or appeal. The study should also give you deeper insights on each individual name. Start with a product description, product image, or concept image. While a description is a good place to start, we recommend using an image to give consumers a clear picture of your product. We also recommend testing between 3-15 different name candidates. Overall questions give you an idea of how each name compares with your other candidates. Ask respondents to rank the names in order of preference as well as asking additional questions about different criteria like trustworthiness, creativity, or appeal. You can also ask respondents if they have any additional naming suggestions. Individual questions enable you to gauge a consumer’s willingness to consider or purchase your product based on the name. You can also ask open-ended questions about how a particular name makes them feel. Once you have collected your responses, break your results into two different groups – overall results and specific name results. Your overall results should demonstrate the top names overall and in every category. Individual name analysis should include name sentiment, as well as data about a consumer’s likelihood to purchase or consider your product. Depending on the number of responses and open-ended questions, analyzing open text can become overwhelming. Tools like text analytics powered by Qualtrics iQ make it simple to categorize text responses by both topic and sentiment automatically. Name testing helps you take speculation out of product naming and launch your product with confidence.